Providing the same lifestyle for your loved one as they grow older in their own, familiar environment, is what we call making life easier. While growing older is a privilege, we also know that it can present new obstacles and challenges not only for them but for you, being a caring family member who wants the best for loved one. Imagine you’re leading an independent life and all of a sudden you realize that you actually need help for certain tasks at home. Or perhaps you end up being hospitalized for an illness and will require some help upon return to your home. This is where many seniors find that for the first time in their lives, they have to ask for assistance. It takes courage to be able to do this. We understand this and TriCounty at Home can help with this process. Receiving the necessary assistance at home in order to maintain a safe, independent and enjoyable lifestyle is what we, at TriCounty at Home, do best for you. As a mature adult you can be confronted with daily living activities that may have become more difficult over time. 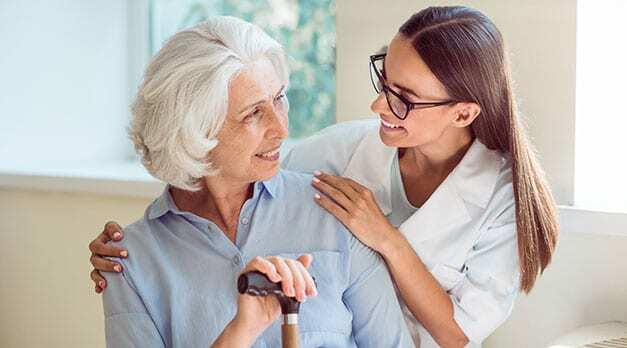 We understand these challenges and can help by providing personal care, light housekeeping and medication reminders, just to name a few of the many services our caregivers perform. When you call TriCounty at Home, a representative will answer your questions and address any concerns you may have. Upon your approval, we will begin services by sending a staff member to your home to conduct an initial consultation. All findings and requests are then scheduled into TriCounty at Home’s approved plan of service. We will compare your preferences to our caregivers’ qualifications, to ensure a compatible match. All caregivers are fully insured and undergo thorough interviewing, testing, and screening prior to employment. Caregivers are regularly supervised and evaluated to ensure that TriCounty at Home’s high service standards are met.